White Oak Tree Service specializes in difficult, technical and hazardous removals with excellent low impact removal and clean-up. We are a Green Credential company. Whether it's aesthetic pruning, canopy reduction, forest thinning, land clearing or logging, we've got you covered. We have the equipment for the job and get the best results for our customers. Give us a call today to see why we are the best tree service company around! Removal Work, Residential, Commercial, Industrial, Licensed and Insured. Available 24/7. 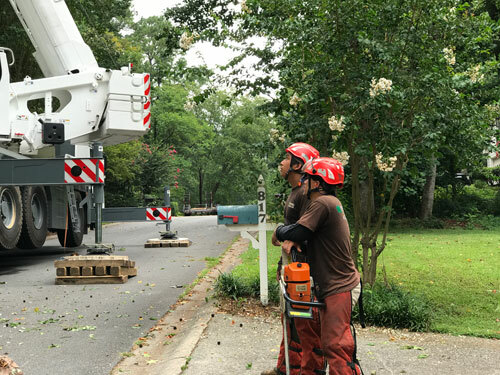 White Oak Tree Service delivers safe efficient and top-quality tree removal in Atlanta Georgia. Our staff provides on-site commercial and residential tree removal that saves you time and money within your budget. We are a tree services company that our clients consistently depend on in the Atlanta Metro area. Our tree removal experts handle any type of technical task, whether you require a very hazardous or technical removal, we deliver low-impact solutions as a green certified company. We perform many types of tree work: Whether you need assistance with pruning, canopy reduction, thinning of a forest or even full land clearing and logging, we deliver fast and professional assistance to a wide range of clients. Contact our staff today: contact us today and we will give you an estimate for the best tree service removal. We deliver industrial, commercial and residential tree removal. We are a fully licensed and bonded company and are available for emergency tree removal 24 hours a day/ seven days a week. We have been working in the greater Atlanta area for a number of years providing both residential and commercial tree removal. White Oak Tree service in Atlanta is capable of completing tree removal services at extremely affordable prices. We provide efficient maintenance, full cleanup services as well as guaranteed work that is covered under our insurance and our license. Estimates at White Oak Tree service are always provided free. If you have a tree cleanup or removal task in the Atlanta GA area, contact us any time for assistance. We have hundreds of satisfied customers and we have the equipment and the capabilities to assist even in rush periods such as post storm conditions! Offering Tree Removal Services throughout the Metro Atlanta Area. For all your commercial and residential tree removal, count on White Oak Tree Service to provide outstanding service at affordable prices. We provide on time services with a professionally trained staff. All work is guaranteed, and we are licensed and insured for your protection. Estimates are ALWAYS free, so contact us today to remove your dead, unsafe, or just too close to the house trees. Excellent service! White Oak Tree Service were on time, professional and friendly. Extremely fair price. I would highly recommend!!! These guys did an excellent job with clearing and tree removals. The job gets done! I would reccommend this service to anyone in the Atlanta area that needs reliable work done. Excellent Service! gave me a quote and showed up as scheduled, trimmed 3 trees 25 feet tall, and removed and stump grinded 6 large trees. they hauled away every last branch. Will use again, highly recommended! Great price too! A great service provided by White Oak Tree Service. Reliable, reasonably priced and they left the place spotless. I'd thoroughly recommend them. 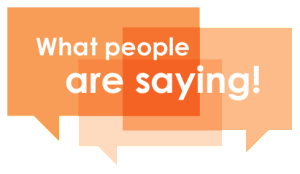 Great response time and very reasonably priced services. They cleaned up everything after removing some trees for us. Thanks guys!